The quality assurance mechanisms of transnational education (TNE) or cross-border education have not kept pace with the changes in the landscape of its activities and trends is the core argument of the article I co-authored with Richard J Edelstein, a research associate at the Center for Studies in Higher Education, University of California, Berkeley. TNE is offered in a range of models, including branch campuses, licensed foreign degree programs provided by local institutions, articulation agreements, distance learning degrees and online degrees. The variety of models is reflective of diverse contexts of source and destination countries, where demand from the emerging segment of ‘glocal’ students – who have aspirations to gain a global education experience, but want to remain in their local region/country – is creating new opportunities for institutions. The landscape of TNE gets further complicated with the emergence of new distance learning technologies, such as MOOCs, that are changing teaching and learning methods and are not easily incorporated into traditional processes and definitions of quality assurance in higher education. For example, a recent strategic planning document from MIT forecasts a future where education will be unbundled and degrees will be disaggregated ‘into smaller credential units such as course credentials, sequence credentials and even badges’ with the possibility that ‘the credentialing agency may be different from the institution that offers the course’. This responsiveness to demand has also led to a wide variation in quality among these programs and models. To varying degrees, these TNE initiatives appear to operate with little regulation or oversight from governments or quality assurance entities in the participating students’ country or in the provider institutions’ home country. 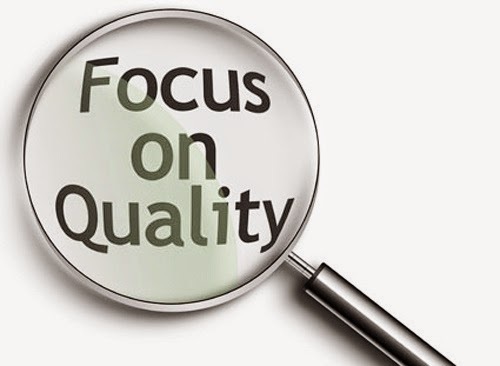 Quality in higher education is not only difficult to measure (as we know from wide-ranging debates about rankings), but also involves diverse approaches to quality assurance. It takes many forms, varying from country to country. For example, terms such as accreditation, recognition and the authority to grant diplomas or degrees can have different meanings and vary by country. Likewise, definitions and processes can differ widely from country to country. In the context of TNE, quality issues can be addressed by authorities in the country where the provider institution is located and-or in the country where student participants receive TNE programs. Unfortunately, many of the countries where the demand for TNE is high, such as Pakistan, Nigeria and India, do not have strong oversight or clearly established regulations to assure quality. This poses risks to students as well as to institutional providers. In Europe and more broadly there are efforts to establish common standards and processes that are recognized beyond national borders. The pattern of growth in transnational education is rife with complexity and brimming with innovation. The quality assurance mechanisms of cross border educational activities are lagging behind. This has implications for all stakeholders, including students, institutions and policymakers. To eventually establish an improved quality assurance regime for transnational education that is broadly accepted as legitimate, a concerted, proactive and collaborative effort is required to better understand the nature, scope and scale of transnational education.